One week to go until Christmas – and slowly I’m getting into the spirit. Last night The Significant Other and I visited a Christmas Show by American Musical Star and Dancer Gaines Hall. This afternoon it is snowing, covering everything outside with a beautiful white blanket. Perfect backdrop for all the beautiful lights and decorations The Significant Other has placed all over the garden and the house. Like every year, I have to admit she’s outdone herself again. 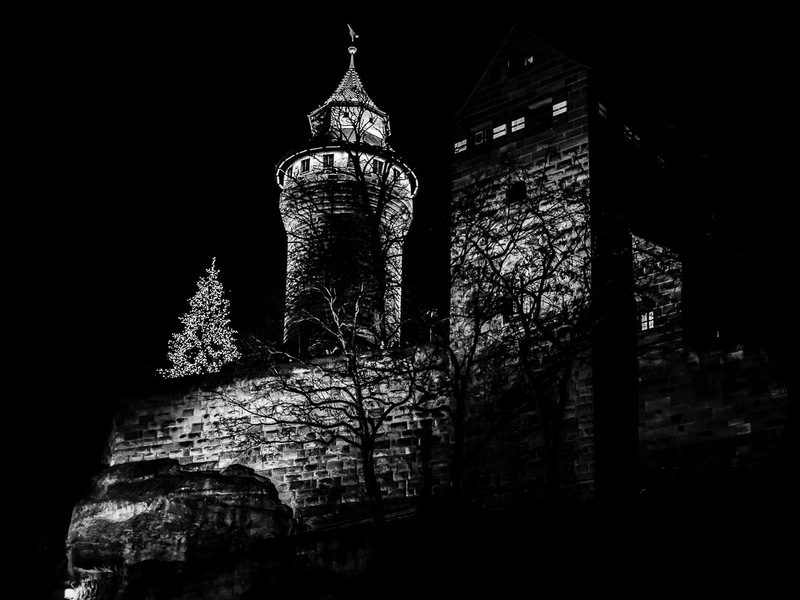 Probably due to the many black&white night photos I have posted lately, I got a question how to best approach night photography. As for the technical aspects, I have posts in my Learning Center that covers some of those aspects, like the Instant Inspiration episode about capturing nocturnal skylines. If you search for “Night Photography” in the search field of this blog, there are plenty posts with photographs taken in the dark, and in many I talk about some how-to stuff. If you go for best image quality, you will need a tripod (or something less sophisticated like a beanbag) to rest your camera on. For best image quality dial in a low ISO number, and select an aperture like f/11 for max depth of field. Result will be a slow shutter speed, hence the need for a tripod. Use the self timer of the camera to trigger a vibration free exposure. 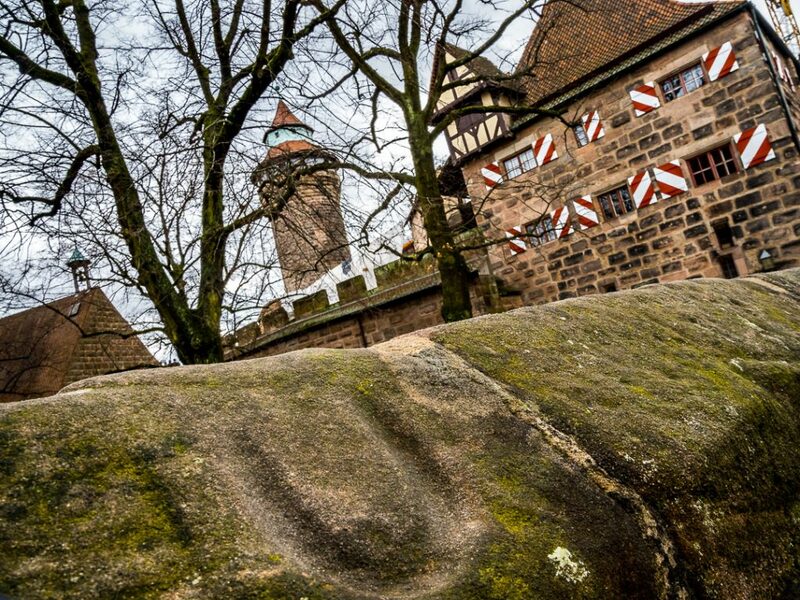 If your camera has good image stabilization and a good glass attached you might get by shooting hand-held. With my Olympus cameras I can shoot 1/5 sec out of the hand and still get sharp images. When trying to shoot handheld at night, I usually shoot in P-Mode with Auto-ISO capped at ISO 1600 and I see where it gets me. Obviously, it also depends on the ambient light available, from street lights or building illuminations. Typically I shoot in RAW and do the conversion to monochrome in Adobe Lightroom Classic CC, using one of my proven presets as starting point. 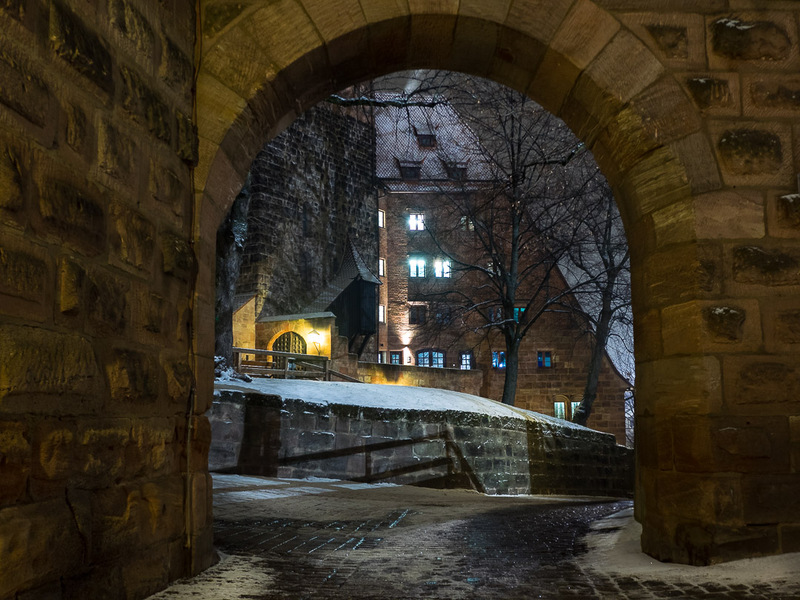 This photo of Nuremberg’s Imperial Castle was taken with the Olympus PEN-F with mZuiko 25mm F/1.8 prime lens, image specs are 1/25 sec @ f/1.8 and ISO 1600. Wish you a relaxed Sunday! 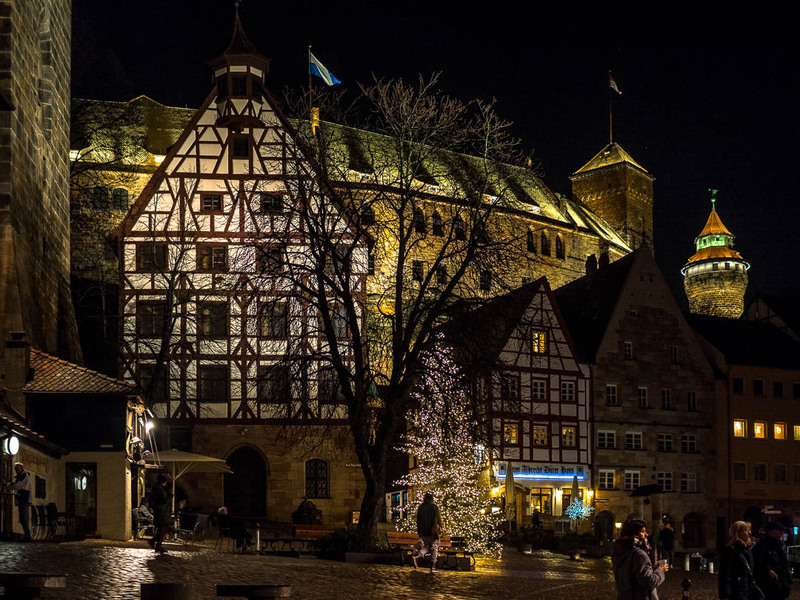 To everyone out there, but particularly to all the many wonderful people I’ve had the blessings to meet (at least virtually) during my first two years of blogging on the “Streets of Nuremberg”, I wish a peaceful Christmas and much love and laughters together with your family and friends. 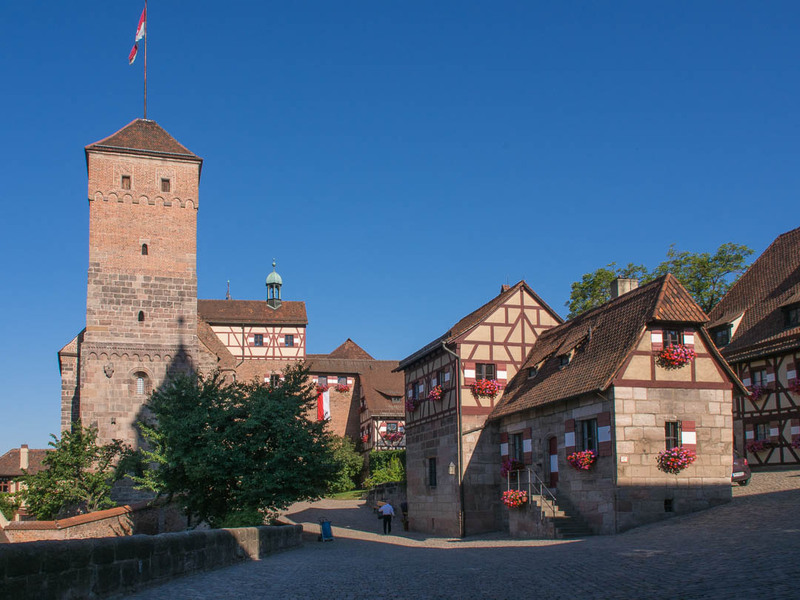 Another splendid day over Nuremberg and a long weekend ahead, due to a public holiday on Monday. 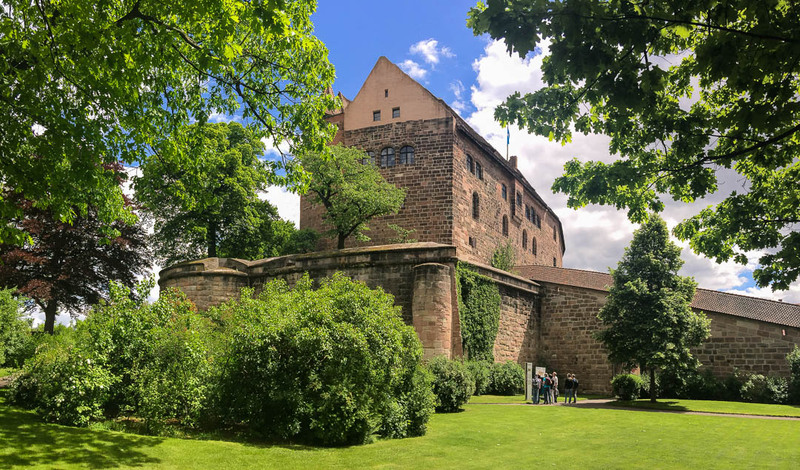 This iPhone panorama shows the castle gardens of Nuremberg’s Kaiserburg (Imperial Castle). Have I mentioned that I rarely shoot panoramas with my cameras anymore? Shooting a sequence of overlapping images and stitching them in Photoshop or Lightroom isn’t really worth the effort, as in most situations the iPhone panorama function does just fine. 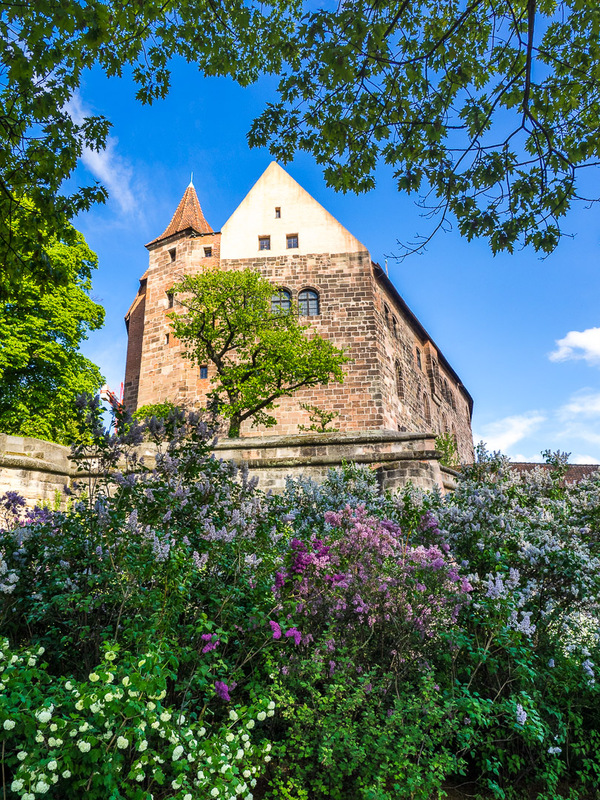 This is the view from the city walls, where the wall walks atop the fortifications provide for a splendid view across the Tiergärtnertorplatz towards the Imperial Castle. 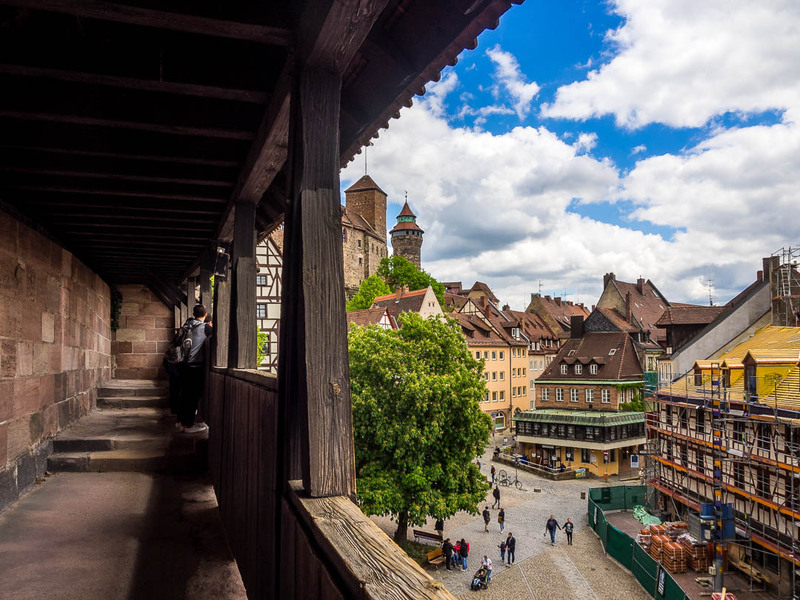 This photo was taken with the Olympus OM-D E-M1 with the mZuiko 14-150mm F/4.0-5.6 travel zoom at 1/320 sec, f/8 and ISO200, focal length was 14mm. I processed the RAW image in Lightroom, mainly opening up the shadows in the wall walk. It is a good example how much tonal range you can capture with a RAW and make visible in post processing. Learning Center – check it out, all my free tips and inspirations around photography!